In this Hearthstone Journey to Un’Goro deck tech, I take a look at Sherazin Miracle Rogue. While the first Rogue decks to surface after the new expansion were mostly Quest Rogue decks – and that archetype is powerful and continues to be refined – Rogue still has other options as well. 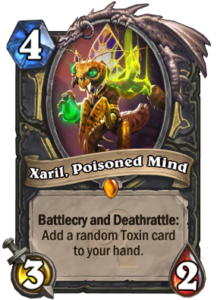 The most prominent alternative is Sherazin Miracle Rogue. Sherazin has turned out to be pretty much what I predicted it to be. In any slower Rogue deck, it is now a staple in the four-mana slot, and it can be really powerful when drawn early and revived multiple times during a game. Sherazin is especially good in longer, more value-based matchups such as Taunt Warrior and Midrange Paladin, as it just keeps delivering and eating removal for a long period of time. That said, Sherazin is not a card you build your entire deck around. If you draw Sherazin late in the game, revivals are very limited, so you cannot rely on Sherazin to win all the games for you. Overall, there are currently three ways to build a Miracle Rogue. 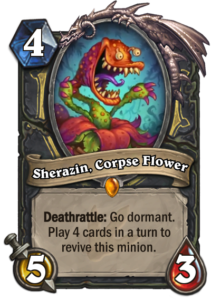 They all share much of the common core, such as Sherazin, the Gadgetzan Auctioneer draw engine, Hallucination for a cheap spell and resource generation, Razorpetal Lashers in the two-mana slot, and Vilespine Slayers for hard removal. The new expansion is thus quite well-represented in the deck lists. The first to appear was the Arcane Giants build. You’re running the Gadgetzan Auctioneer draw engine anyway, you’re running Sherazin anyway and want to play cards to revive it, so why not also get in some cheap, even free, 8/8 minions to go along with that set? Cards just fly by when playing this list, and with Sherazin, Violet Teacher, Gadgetzan Auctioneer, and Arcane Giants all benefiting from playing multiple cards, there are some very strong synergies at play here. However, the emphasis on Arcane Giants can also backfire. You’re all good if you find an Auctioneer, but sometimes you end up with two Giants and no Auctioneers and your tempo is gone. Furthermore, I find Violet Teacher to be fairly weak in the current meta. Many decks are easily able to clear out the 1/1 tokens right now, so the value the Teacher is able to generate is limited. 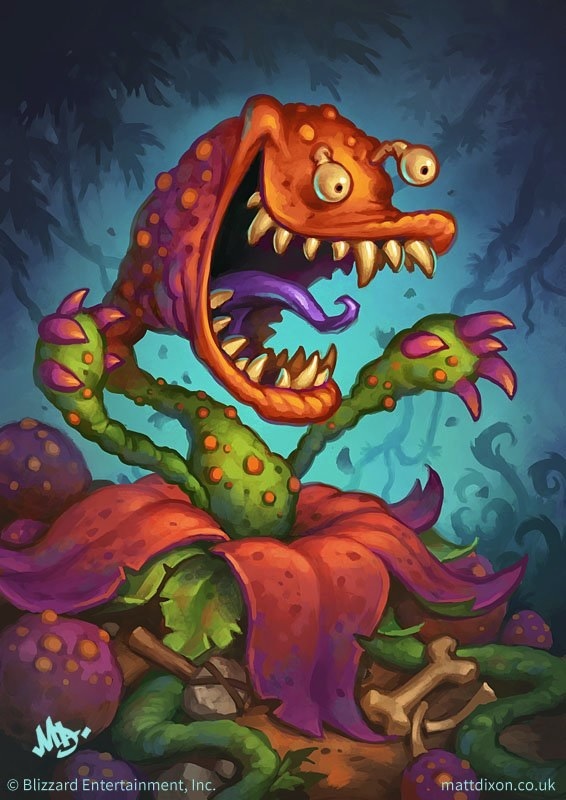 Orange chose to bring back Questing Adventurers (making this the only road that actually lives up to the original Miracle Grow name) and to cut one of the Arcane Giants. 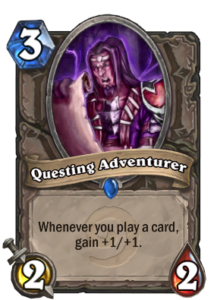 He also did not run any pirates, reducing the potential weakness to Golakka Crawler, and relying on more reliable resource generation in the form of Journey Below that gives better cards with its Discover mechanic than just the random cards generated by Swashburglar. While the other two approaches rely on big minions in the form of Arcane Giants or Questing Adventurers, this third approach relies on chip damage, pressure, and a burst finish. The minion-growing lists are cutting one or even both Cold Bloods, as there is no Conceal to hide behind to set up for big finisher turns. They pack more punch in the late game as there can be multiple big threats for the opponent to remove: two Questing Adventurers, Edwin, and an Arcane Giant add up to four major threats that need to be dealt with, but it takes some time to set up those big threats. In comparison, the Leeroy variant goes underneath those lists: It is faster on the board to be aggressive or to contest aggro, running multiple smaller threats that are not as attractive to use big removal on but that can be turned into major damage sources with Cold Blood. 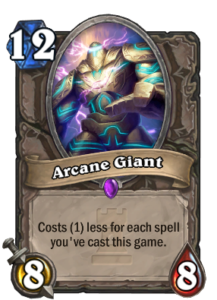 It also benefits from the prevalence of the Arcane Giant build in the meta: opponents need to consider saving some removal for the Arcane Giants that are never going to come. 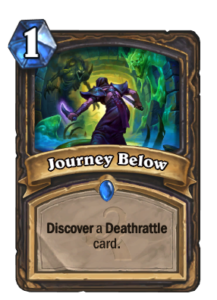 It is fun to note that new cards from Journey to Un’Goro have definitely found their way into becoming Rogue staples. I already discussed Sherazin above, but it should not overshadow the powerful trio of Hallucination, Razorpetal Lasher, and Vilespine Slayer. Discover is an extremely powerful mechanic. Not getting just a random card, but getting three options to choose from increases the odds of finding a card suitable for whatever situation you find yourself in a lot. I have used Hallucination to go for board clears, to go for finishers, to go for Mind Control even. Just yesterday, I was on the receiving end of a Hallucination, taking a beating from Shadow Madness that the Rogue used against me. 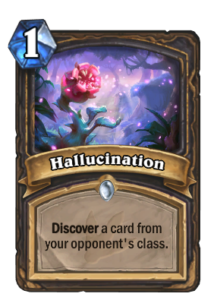 Hallucination is not a card you want to play on turn one, and it is often a card you do not keep in the mulligan either, but it is a powerful addition in any stage of the game. 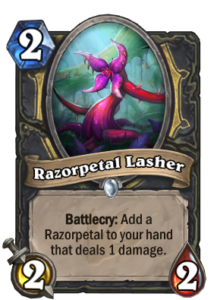 While Razorpetal Lasher may seem unimpressive to begin with, it is actually very powerful. Think Dark Peddler powerful. You get an early minion out on the board, and that 2/2 statline is perfectly fine in the current meta. You also get another card, a 1-mana spell that deals one damage, which you can use to snipe targets, set up combos, revive Sherazin, and make Arcane Giants cheaper. A perfect package for Rogue. 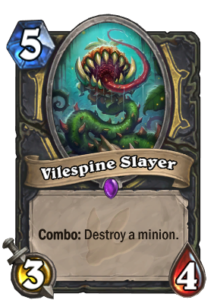 Vilespine Slayer was immediately recognized as an extremely powerful card upon reveal, and the estimates on it were spot-on. 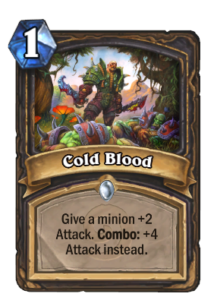 It finally gives Rogue some useful hard removal: priced the same as Assassinate, but attached to a 3/4 body that only requires a combo as an additional condition, a condition Rogue finds very easy to meet. Most current lists run two copies of Vilespine Slayer still alongside a Sap or two, and the tempo value of Sap is immense, so both have their uses. I have experimented with a build that runs only Vilespine Slayers and no Saps, and that also seems to work very well, so I imagine Vilespine Slayer may even be strong enough to replace Sap altogether. Miracle Rogue is in a good position in the meta: Taunt Warriors, Midrange Paladins, and Dragon Priests all fall before it with that pressure and burst. I find the Dragon Priest matchup quite fascinating: the oldest, Arcane Giants build can actually struggle in that matchup, as Priest has enough removal in the deck to deal with every threat in the Rogue deck. It is all about tempo and whether you can get your threats out before Priest finds the removal. The faster variant is better able to build up that tempo and go for the win. In addition to the good matchups, Miracle Rogue has some classic Rogue issues, as it is weak against aggro and against Freeze Mage. There are things you can do about most aggro matchups. 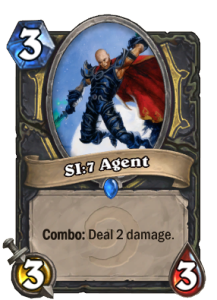 SI:7 Agent, for example, has traditionally been a key card in Rogue against aggro, and many lists have chosen to cut one or even both copies. 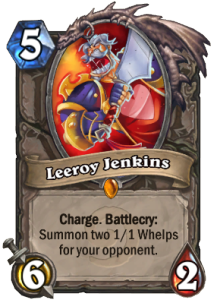 The faster Leeroy Jenkins variant that runs two copies of SI:7 Agent has more tools to challenge aggro and less dead draws early on, so you have more ways to win those Pirate Warriors and Aggro Druids, and even to beat Quest Rogues with burst. Freeze Mage is another matter. Freeze Mage hype grew quickly over the past few days, and your tools to beat Ice Blocks are limited. There are some things you can do by discovering an Ice Block of your own for example, but the overall toolkit of Rogue is not well-suited to deal with Freeze Mage. Miracle Rogue is living a fascinating revival. It is obviously a strong deck, but there are still many ways to build it, and the optimal build has not yet been found. Do you go for multiple big threats? Do you go for tempo and a burst finish? 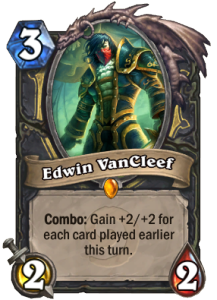 There is a common core around Gadgetzan Auctioneers, cheap spells, Edwin VanCleef, Sherazin, Razorpetal Lashers, and Vilespine Slayers, but there are lots of choices to be made beyond that other than just the Arcane Giants, Questing Adventurers, or Leeroy Jenkins – or a combination of the three. Pirates or no pirates? 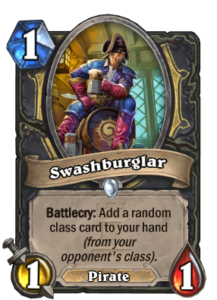 Swashburglar is really strong, but how common is Golakka Crawler to counter it? 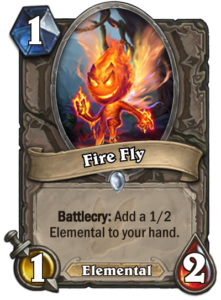 Fire Fly is a powerful alternative one-drop. Mimic Pod for more card draw? 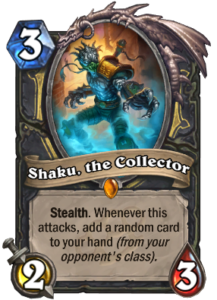 Maybe Xaril or Shaku, or both? SI:7 Agent? Journey Below? 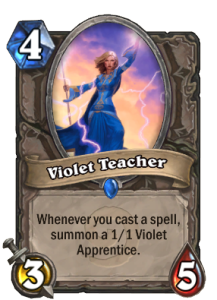 Violet Teacher? Shiv? It is an exciting time to be building Miracle Rogue decks!